BBC News - How can 1.2bn people be identified quickly? How can 1.2bn people be identified quickly? With millions of people in India living in poverty, the government hopes that new technology behind the Aadhaar scheme will make it easier to help identify all those without official ID cards and struggling to receive assistance. India has the second biggest population in the world - in excess of 1.2 billion people - however it is estimated that 300 million Indians lack adequate forms of official identification. In a country with large numbers of people living in poverty, official ID is considered crucial but not every Indian resident has one. 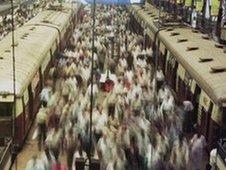 And, according to UN figures, with the Indian urban population expected to grow by another 497 million by 2050, this could be set to be an even bigger issue. "One of the biggest problems in a country like India is that people don't have a universal ID," says journalist PK Jayadeven of the Economic Times. "When you go and claim some sort of subsidies or some sort of benefits from the government, you need to establish that you are who you say you are. This means that new technology features heavily in a government initiative called Aadhaar. 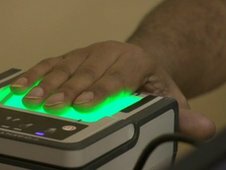 It is designed to give a unique ID to hundreds of millions of Indian citizens. Fingerprints and irises are scanned and this biometric data forms the basis of the ID. A photograph is taken using a webcam then personal details are taken which are all added to the database and a universal ID can be created. While the technology is simple the size of the population could be the main issue. "The technology that is driving it is in some sense is rocket science and in some sense it's not," says Prof S Sadagopan, director of the International Institute of Information Technology - Bangalore. "When you do it for a hundred it's peanuts, when you do it for a thousand it's kind of nice, when you do it for a million it's a little hard and when you do it for a billion it is indeed hard - that is what makes it rocket science." Prof Sadagopan also has concerns about India's large number of manual labourers. "These people, who literally soil their hands and toil the fields, their fingerprints are literally gone. Of course we use other forms including the iris, the signature, the photo or multiple photos." While ensuring the right people get the right government aid is important, the notion of centralised ID databases has raised concerns about civil liberties. Aadhaar is an on-going project and around 200 million people across India have already been registered by the scheme. By the middle of 2013 plans are in place to have registered around 400 million individuals. "We are looking at it from the residents' point of view with respect to delivery of various services it is more a welfare oriented scheme than a security concern," says Dr Ashok Delwai, of the Unique Identification Authority of India. "In a democratic country like India, this apprehension is very natural and we have been open to this particular apprehension right from day one." The authority points to a committee of people taken from recognised society, who are said to have influenced the amount of personal data collected after worries about privacy were raised. "They have gone into the demographic data we must collect," says Dr Delwai. "They recommended - in order to respect the privacy apprehension that people genuinely feel - we should be collecting the most minimum of data regarding their personal attributes." Even though the authority collects four fields of data - name, gender, date of birth with approximate age and current place of residence - there are still concerns around issues of privacy. "I am not saying privacy is not important for many people, but for 300 million people, getting access to daily bread is more important so those people don't care too much about it," says Prof Sadagopan. "I am not saying privacy will be compromised but there is always scope when you have data centrally accessible through a central database." Despite this, there are already concerns around the uptake of this voluntary scheme amongst the people it aims to assist the most. Around 50,000 Aadhaar cards have recently been returned to the agency because of untraceable addresses believed to be fake, the Deccan Chronicle recently reported. And if it really is the case that the people aren't ready for new technology that gives their personal details to the government, it could be a long wait before all 1.2bn Indians have official identification.